Nando’s is definitely a ringer when it comes to naming the restaurant with high quality, affordable and delicious chicken. With their secret 24 hours marination and signature PERi-PERi sauce made of 100% natural ingredients, it is no wonder that Nando’s has expanded with its 9th outlet at NEX Serangoon. 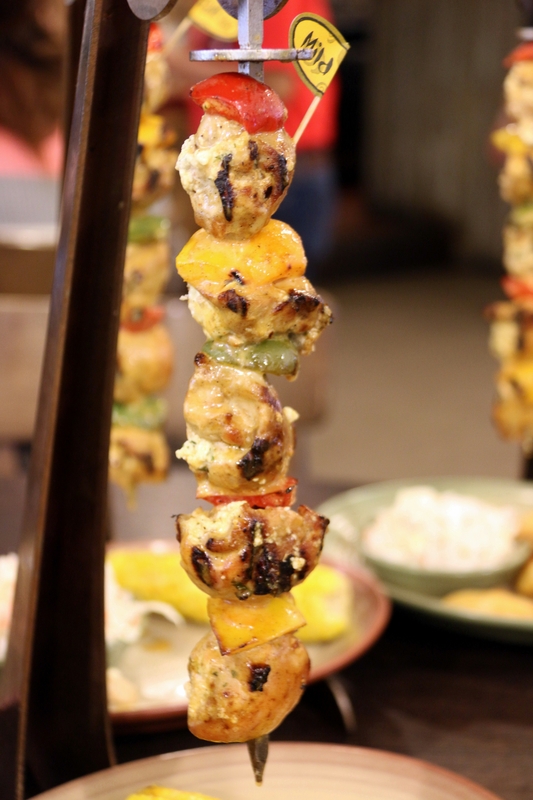 Available now till 28 June 2014, Nando’s will surprise you with the exotic Espetada Carnival – flame-grilled Peri-peri chicken thighs stuffed with exciting flavours. As majestic as it looks (and sound), Espetada Carnival is a pleasant delight. The flame-grilled chicken thigh is tender and springy. The Feta Cheese and garlic stuffed within the chunks of chicken meat add a natural flavoring to its grilled counterparts. I love the little charred parts – it adds the taste of grilled authenticity without being too strong or unhealthy. Customize your own spicy level tolerance with the special peri-peri sauce – zesty with different levels of spiciness for your preference. My friends and I usually pick our chicken to be mild, and add on the sauce ourselves to fit our own taste. 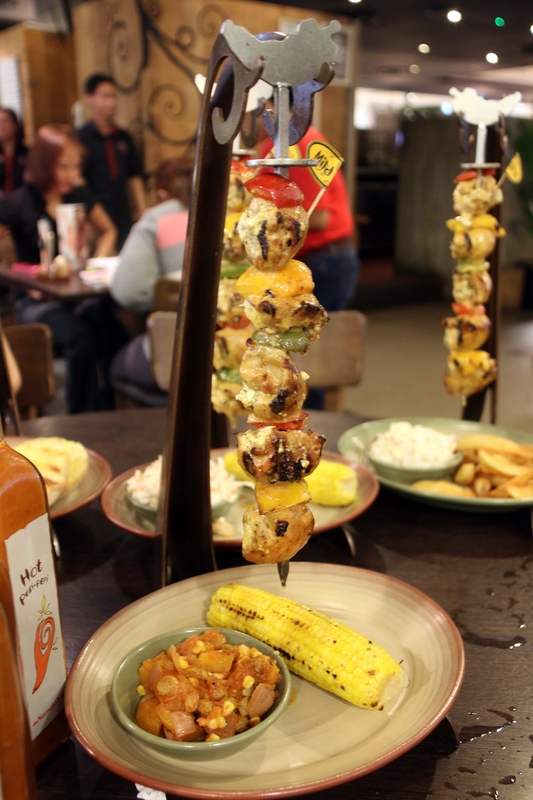 Pumpkin and Grilled Corn is a new side dish from Nando’s. It is sweet and I like how the pumpkin carries a slight crunch to it. Not a fan of pumpkin myself, this new side will be a healthy and sweet alternative that will appeal more to pumpkin lovers, although flavor might be a little acquired to some. the meal with a Spicy Mango Sangria at $25.90. Nando’s prove the versatility of chicken by spinning many other delectable dishes with it, along with the signature PERi-PERi sauce with a customized spiciness to your liking. For this limited period delight, nothing should hold you back to try out the Nando’s Espetada Carnival today.